Betty Crocker Decorating Cookie Icing is easy-flow decorating icing designed to make your dessert decorating fun and easy. You get four decorating tips to choose from: drawing tip ribbon tip leaf tip star tip. 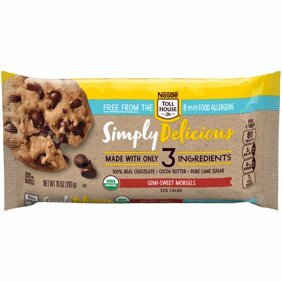 Ingredients: SUGAR, CORN SYRUP, VEGETABLE SHORTENING (PALM AND HYDROGENATED PALM OILS), WATER, VEGETABLE OIL (PALM, PALM KERNEL, SOY LECITHIN), MALTODEXTRIN, CONTAINS LESS THAN 2% OF THE FOLLOWING: PROPYLENE GLYCOL, BLUE 1 LAKE, RED 3, MODIFIED POTATO STARCH, CORNSTARCH, TITANIUM DIOXIDE (COLOR), SALT, CELLULOSE GUM, NATURAL AND ARTIFICIAL FLAVOR, POTASSIUM SORBATE (PRESERVATIVE), CITRIC ACID, SUNFLOWER OIL, ROSEMARY EXTRACT (PRESERVATIVE), TOCOPHEROLS, MONO- AND DIGLYCERIDES, POLYSORBATE 60. Instructions: Directions: Attach decorating tip by screwing it on the nozzle. Turn can upside down and press nozzle to one side with thumb or index finger to start icing flow.Popping sound may occur upon initial dispensing of icing. It is recommended to start icing flow on a paper towel. Icing will flow until pressure is released.Remove tip before replacing cap.Icing does not harden for stacking.For best performance loosely cover finished desserts.Store icing at room temperature. This stuff is awesome!! Love the decorating utensils that come with it. Just pop them on and begin to decorate. The taste was amazing. We ran out before we finished two dozen; not bad. My daughter loved using all the tips. I bought 5 cans of this icing because they looked easy to use. I was decorating cookies with two kids. It wouldn't come out until we lost patience with it and then it gushed out too fast to do any reasonable decorating. I will not buy this product again. I would however try a different way of dispensing it because it did taste good. I expected the kids (age 6 and 4) to be challenged by cookie decorating. But I thought the adults could manage to use it. I was wrong. The cookies look awful but taste pretty good.